Innovation means much more than invention. 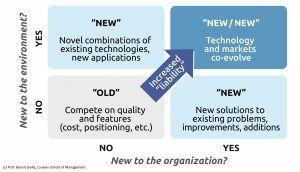 Managing innovation means managing both newness and change, and the latter often matters the most. Newness is relative. What is today new to one manager, its organization or its environment might not be to another. (Book) Berkun, S. (2010), The myths of innovation, O’Reilly Media, Inc..
(Book) De Brabandere, L. (2005). The forgotten half of change: achieving greater creativity through changes in perception, Kaplan Publishing. (Book) Latour, B., Woolgar, S., (1979). Laboratory Life: The Social Construction of Scientific Facts. Sage, Beverly Hills, CA. 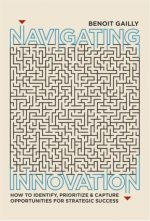 (Book) Tidd, Joe, Bessant, John and Pavitt, Keith (2005) Managing Innovation: Integrating Technological, Market and Organizational Change. 3rd edition. John Wiley. (Article) Baregheh, A., Rowley, J., & Sambrook, S. (2009). Towards a multidisciplinary definition of innovation. Management Decision, 47(8), 1323-1339. (Article) Birkinshaw, J., Hamel, G., & Mol, M. J. (2008). Management innovation. Academy of Management Review, 33(4), 825-845. (Article) Hage, J. T. (1999). Organizational innovation and organizational change. Annual Review of Socioogy, 25(1), 597-622. (Article) Kastelle, T., & Steen, J. (2011). Ideas are not innovations. Prometheus, 29(2), 199-205. (Article) Levitt, T. (2002). Creativity is not enough. Harvard Business Review, 80, 137-144. (Article) Linton, J. D. (2009). De-babelizing the language of innovation. Technovation, 29(11), 729-737. (Article) Mortensen, P. S., & Bloch, C. W. (2005). Oslo Manual-Guidelines for collecting and interpreting innovation data, Organization for Economic Cooperation and Development, OECD. (Article) Nelson, R. R., & Winter, S. G. (1977). In search of useful theory of innovation. Research Policy, 6(1), 36-76. (Article) Rothwell, R., Freeman, C., Horlsey, A., Jervis, V. T. P., Robertson, A. B., & Townsend, J. (1974). SAPPHO updated-project SAPPHO phase II. Research Policy, 3(3), 258-291. (Article) Stauffer, Dennis A. (2015), “Valuable novelty: a proposed general theory of innovation and innovativeness.” International Journal of Innovation Science 7(3),: 169-182. (Article) Zhang, J. A., Garrett-Jones, S., & Szeto, R. (2013). Innovation capability and market performance: the moderating effect of industry dynamism. International Journal of Innovation Management, 17(02), 1350004. (Book) Evans, H., Buckland, G., & Lefer, D. (2009). They made America: From the steam engine to the search engine: Two centuries of innovators. Hachette UK. (Book) Johnson, S. (2010). Where good ideas come from: The natural history of innovation. Penguin UK. (Article) Berry, H. (2015). Knowledge inheritage in global industries: ‘The impact of parent firm knowledge on the performance of foreign subsidiaries’. Academy of Management Journal, 58, 1438-1458. (Article) Freeman, J., Carroll, G. R., & Hannan, M. T. (1983). The liability of newness: Age dependence in organizational death rates. American Sociological Review, 692-710. (Article) Garcia, R., & Calantone, R. (2002). A critical look at technological innovation typology and innovativeness terminology: a literature review. Journal of Product Innovation Management, 19(2), 110-132. (Article) Snyder, H., Witell, L., Gustafsson, A., Fombelle, P., & Kristensson, P. (2016). Identifying categories of service innovation: A review and synthesis of the literature. Journal of Business Research, 69(7), 2401-2408. (Article) Talke, K., Salomo, S., Wieringa, J. E., & Lutz, A. (2009). What about design newness? Investigating the relevance of a neglected dimension of product innovativeness. Journal of Product Innovation Management, 26(6), 601-615. (Article) Van de Ven, A.H. (1986). Central problems in the management of innovation. Management Science, 32(5), 590-607. (Article) Wei-Ken, H., & Lin-Lin, C. (2012). Effects of novelty and its dimensions on aesthetic preference in product design. International Journal of Design, 6(2). (Article) Yayavaram, S., & Chen, W. (2015). ‘Changes in firm knowledge couplings and firm innovation performance: the moderating role of technological complexity’. Strategic Management Journal, 36, 377-396. (Book) Hargadon, A. (2003). How breakthroughs happen: The surprising truth about how companies innovate. Harvard Business Press. (Book) Hege, J. B. (2001). The Wankel rotary engine: a history. McFarland. (Article) Ansari, S., & Garud, R. (2009). Inter-generational transitions in socio-technical systems: The case of mobile communications. Research Policy, 38(2), 382-392. (Article) Chandy, R. K., & Tellis, G. J. (2000). The incumbent’s curse? Incumbency, size, and radical product innovation. Journal of Marketing, 64(3), 1-17. (Article) Chang, Y. C., Chang, H. T., Chi, H. R., Chen, M. H., & Deng, L. L. (2012). 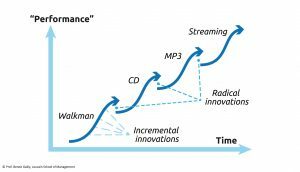 How do established firms improve radical innovation performance? The organizational capabilities view. Technovation, 32(7), 441-451. (Article) Damanpour F. & Evan, W. (1996). ‘Organizational innovation and performance. The problem of organizational lag’, Administrative Sciences Quarterly, 29, 392-409. (Article) Dewald, J., & Bowen, F. (2010). Storm clouds and silver linings: Responding to disruptive innovations through cognitive resilience. Entrepreneurship Theory and Practice, 34(1), 197-218. (Article) Fleming, L. (2001). Recombinant uncertainty in technological search. Management Science, 47(1), 117-132. (Article) Furr, N.R., & Snow, D.C. (2014). Intergenerational Hybrids: Spillbacks, Spillforwards, and Adapting to Technology Discontinuities. Organization Science, 26(2), 475-493. (Article) Gatignon, H., Tushman, M. L., Smith, W., & Anderson, P. (2002). A structural approach to assessing innovation: Construct development of innovation locus, type, and characteristics. Management Science, 48(9), 1103-1122. (Article) Govindarajan, V., & Kopalle, P.K. (2006). Disruptiveness of innovations: measurement and an assessment of reliability and validity. Strategic Management Journal, 27(2), 189-199. (Article) Henderson, R.M. & Clark, K.B. (1990). Architectural innovation: the reconfiguration of existing product technologies and the failures of established firms. Administrative Science Quarterly, 35, 9-30. (Article) Li, Y., Vanhaverbeke, W., & Schoenmakers, W. (2008). 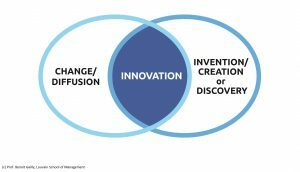 Exploration and exploitation in innovation: Reframing the interpretation. Creativity and Innovation Management, 17(2), 107-126. (Article) McDermott, C. M., & O’Connor, G. C. (2002). Managing radical innovation: an overview of emergent strategy issues. Journal of Product Innovation Management, 19(6), 424-438. (Article) Mezias, S.J., & Glynn, M.A. (1993). The three faces of corporate renewal: Institution, revolution, and evolution. Strategic Management Journal, 14(2), 77-101. (Article) Phillips, W., Noke, H., Bessant, J., & Lamming, R. (2006). Beyond the steady state: managing discontinuous product and process innovation. International Journal of Innovation Management, 10(02), 175-196. (Article) Sainio, L. M., Ritala, P., & Hurmelinna-Laukkanen, P. (2012). Constituents of radical innovation—exploring the role of strategic orientations and market uncertainty. Technovation, 32(11), 591-599. (Article) Schiavone, F. (2011). Strategic reactions to technology competition: A decision-making model. Management Decision, 49(5), 801-809. (Article) Slater, S. F., Mohr, J. J., & Sengupta, S. (2014). Radical product innovation capability: Literature review, synthesis, and illustrative research propositions. Journal of Product Innovation Management, 31(3), 552-566. (Article) Tongur, S., & Engwall, M. (2014). The business model dilemma of technology shifts. Technovation, 34(9), 525-535. (Article) Tushman, M.L. and Anderson, P. (1988). “Technological discontinuities and organizational environments” Administrative Science Quarterly, 31, 439-465.